How to Repair Your iPhone From Water Damage? Damaging your mobile phone is definitely a nightmare for all us. And damaging your iPhone is often the end of the line because many of us know that how much expensive this smartphone is. And if we drop our beloved phone in water then it seems that world suddenly get a freeze and our heartbeats are starting missing. It doesn’t matter we dropped our phone in a bathtub or a pool, we just know that nothing good will come out. Nowadays companies are launching waterproof mobile phones but if we have a water damaged phone in our hands then we are in trouble and rescuing our phone from completely damaging, we have to find out solutions to repair it. After coming out of the shock, we rush to find out solutions to repair our mobile phones. 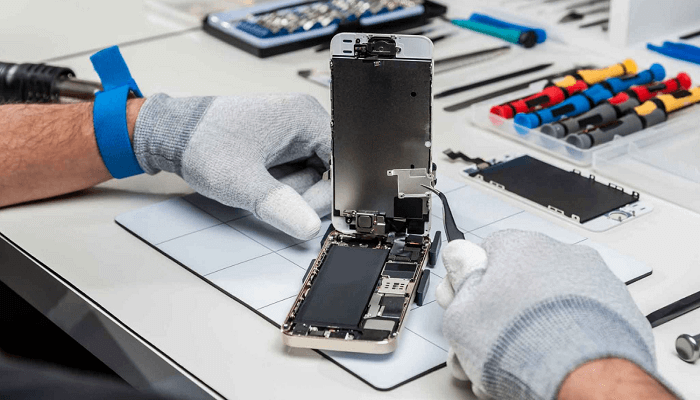 Most people try to Google about mobile phone repair because they find it easy for themselves to have a mobile phone repairing service near them. Also, a bunch of people tries to repair damaged phones by themselves. 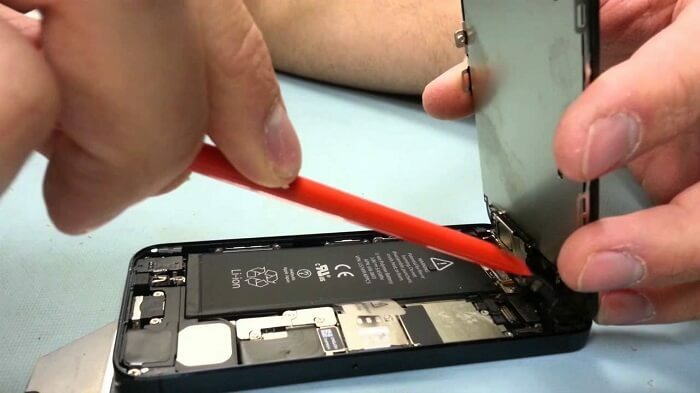 Here in this article, we are explaining some worthwhile tips that can help you to repair your iPhone if its water damaged. Please keep in mind that these methods have been known to work well in most of the conditions but there is no definite guarantee in fixing for a waterlogged mobile phone. So keep your fingers crossed while doing repair your iPhone. How to check your iPhone is water damage or not? Looking for water damage in your iPhone is not that difficult. Just look for the water damage indicator placed in your iPhone. Each model of iPhone has a different location for the water damage indicator. It is to keep in mind that many water damaged phones may still appear to work properly but water surely damages the phone. You might be unaware of exactly what damage has been done to your phone and this can cause a reduction of the sale price of your iPhone. The water inside can cause internal corrosion. You can perform a simple check to view whether your iPhone is water damaged or not. If the indicator is White in colour, then this means that the phone is ok, it’s not water damaged and you can thank GOD. But if the water damage indicator is Red or Pink in colour then you are in problem. Your iPhone is water damaged as the indicator has been tripped. The water damage indicator is placed on battery or phone itself. Depending on your model, the water damaged indicator will be in a different place. – iPhone 4 and 4s have the water damage indicator in the charging port. – iPhone 5, 5C, iPhone 5S, SE, 6, 6S, 6S Plus, 7, 7 Plus, it is placed in the sim card tray slot. If your mobile phone, in this case, your iPhone, is not turning on after coming into contact with water, then there may be two conditions apply here. First, your iPhone has been short-circuited. Second, Water has damaged some internal parts of your mobile phone. If your water damaged phone doesn’t charge then there is a problem with your charging port. Dry your phone charging port completely and carefully to eliminate any further corrosion. And don’t plug your phone into charging port when there is water in it. If there are dark spots or lines under the glass of your iPhone screen then your screen is water damaged. Don’t need to visit iPhone screen repair shop at first place, just turn off of your mobile phone and leave it to dry. If there is water in your mobile phone’s speakers, then turn your mobile phone off, let it dry as long as possible and then turn it on. After that, try to play any sound from your speakerphone to check whether your speakers are working fine or not. First thing first, after you have a water damaged phone, remember the very first thing you have to do. Don’t panic! If you act fast and instantly, you can save your mobile phone from further damage. If your mobile phone fell into the water, then remove it from water immediately. If it stays longer in the water there are chances of corrosion or screen issues. Press the home screen button or power button to check if your phone is on or not. If its on, then quickly turn it off to increase the chances of recovery of your phone. If power button doesn’t work then leave it. If there is any protective case on your iPhone then remove it off to clear the moisture. Remove the sim card from your iPhone. Remove it completely so the water inside your sim card port can escape. Usage of dry cloth to wipe out your iPhone is recommended. Make sure to get the moisture out from the headphone jack, home button, charging port and volume keys as well. One of the recommended ways to get rid of water in your phone is to place it in a warm place and let it dry for as long as possible. Try to air dry your iPhone. Also, remove the battery if possible. Wait for 48 to 72 hours to let the air completely dry your iPhone. Every iPhone has a tiny indicator which tells whether your phone is water damaged or not. That indicator turns red if there water inside your iPhone. Mostly this indicator is placed in sim card port of your iPhone. Use a flashlight to see this indicator. If your iPhone turns on after water damaging, then immediately back up your data. It will ensure you that even your phone quit working, you have your personal data saved as a backup. These are some useful tips that you can adapt to save your iPhone from water damage. If all these home-made tips don’t work out for you when visiting a mobile phone repairing center might be a useful option for you.